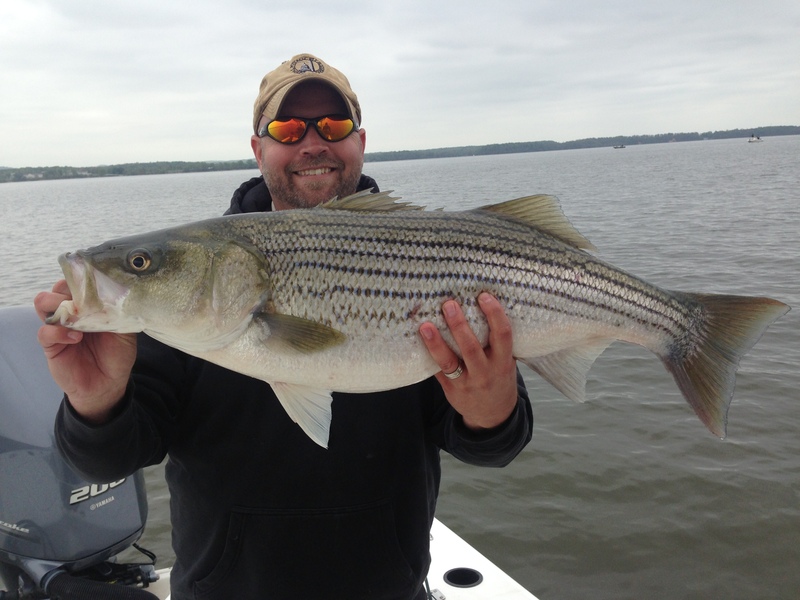 Stripers have been breaking on the surface in many locations. A few bluefish have been mixed in too. 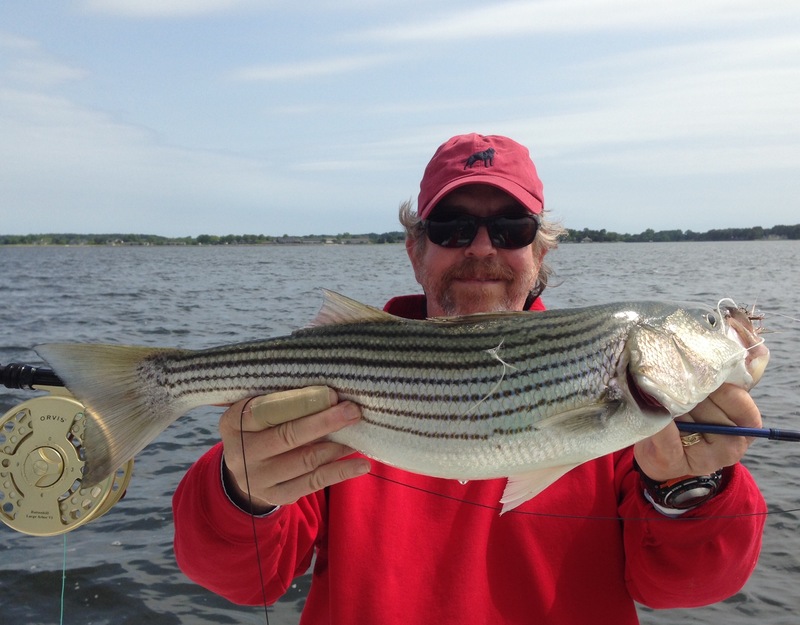 Soft plastics and spoons are catching consistently and topwater has also been good. 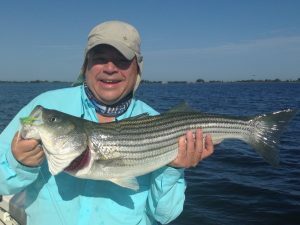 Fly fishing with sinking lines and floating lines with poppers are great. 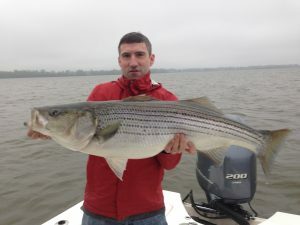 Hasn’t been a lot of big fish but sometimes a big striper shows up. 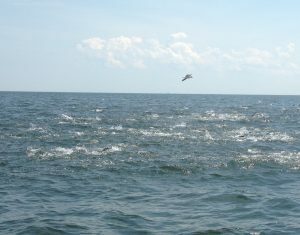 This has been the windiest August I can remember but when it’s laid down fishing has been good. 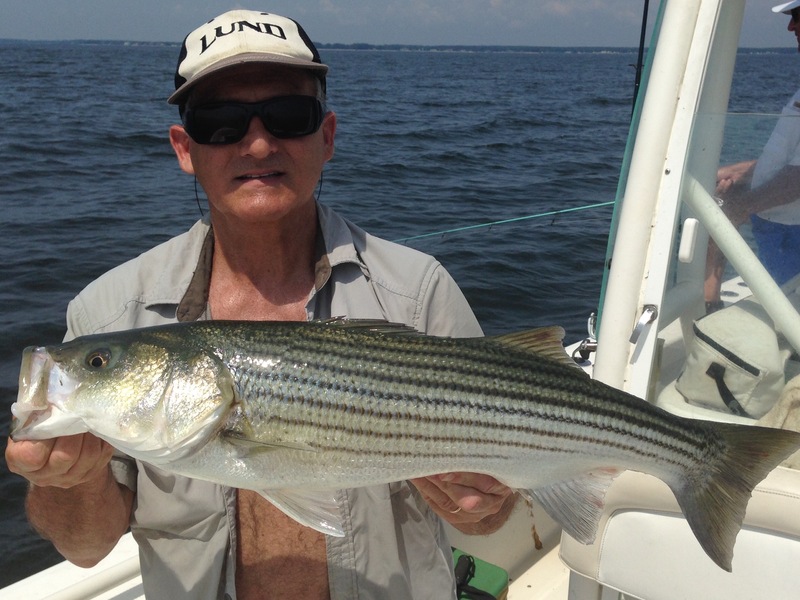 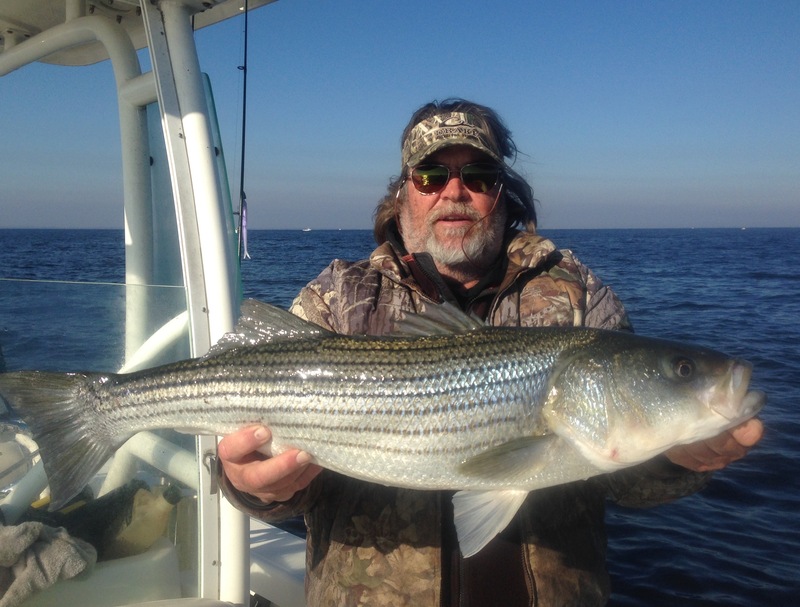 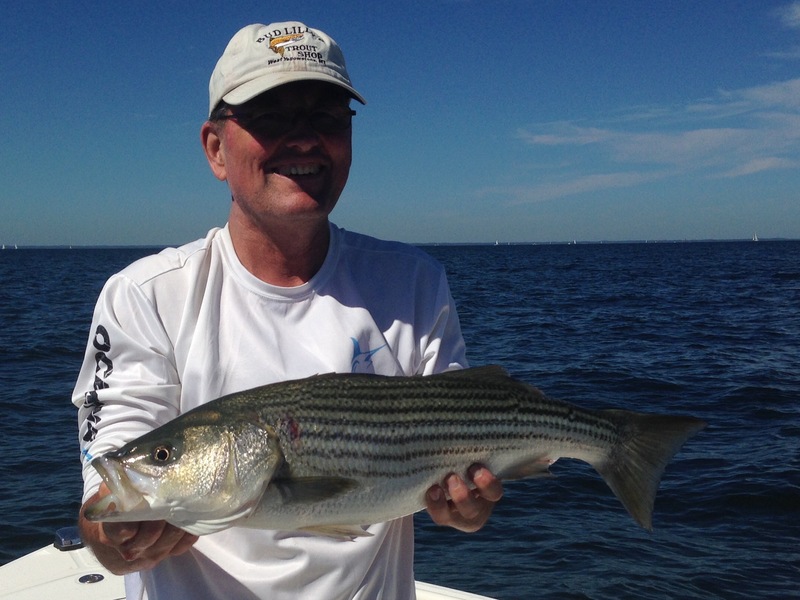 Stripers all sizes along with a few bluefish and an occasional Spanish mackerel have been been breaking on the surface. 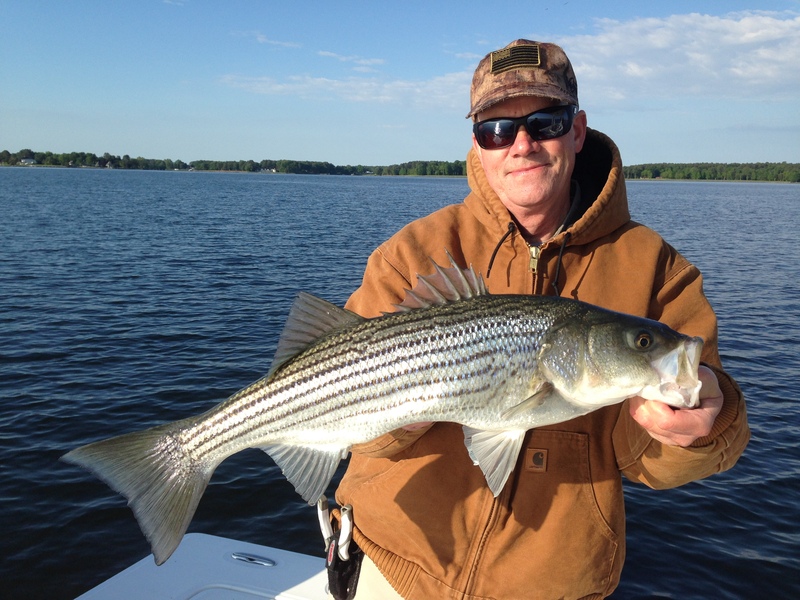 Soft plastics, spoons and topwater plugs are all catching their share. 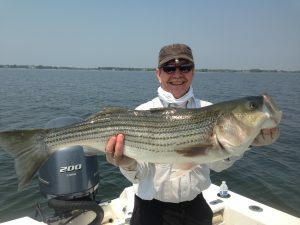 Fly fishing has been equally effective. 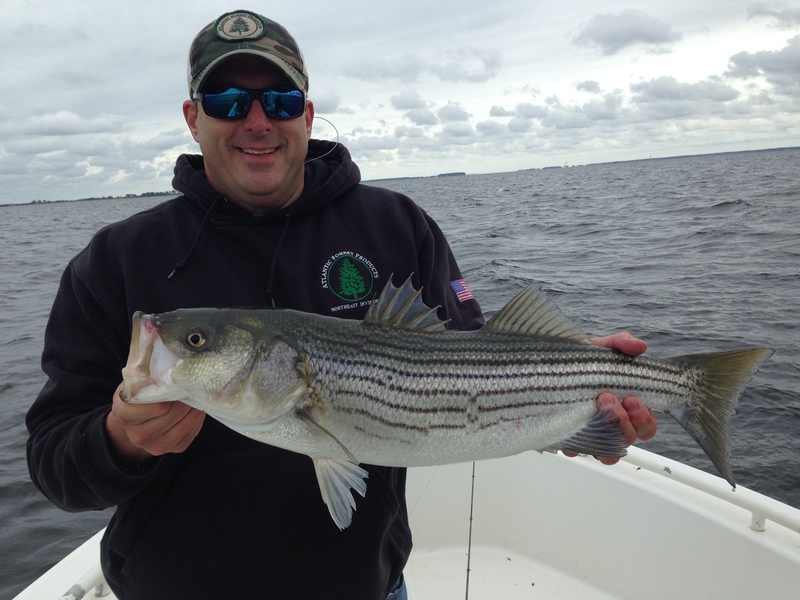 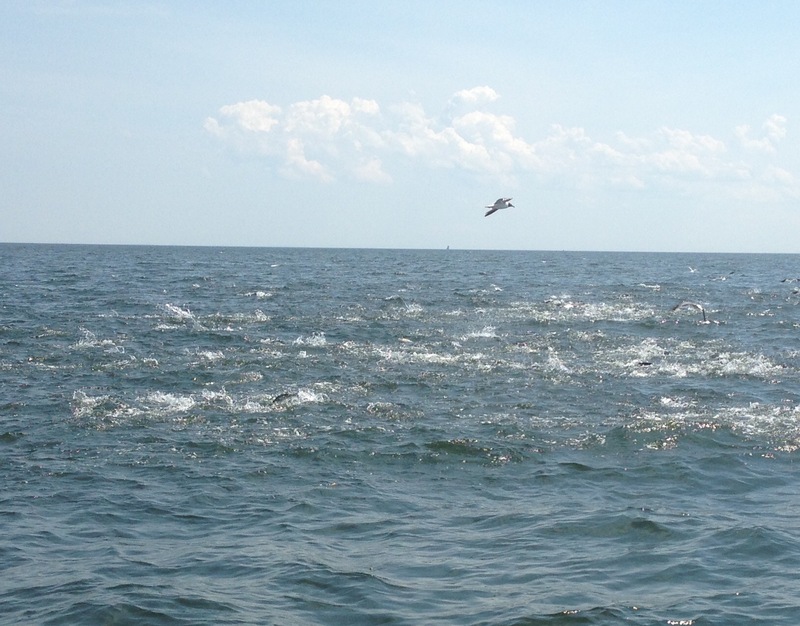 Striped bass are breaking on the surface in good numbers. All size stripers are taking spoons and topwater plugs. 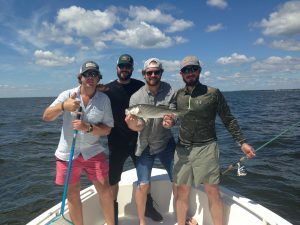 Fly rod poppers and clousers are also catching rockfish and a few bluefish. Spanish mackerel have also shown up. 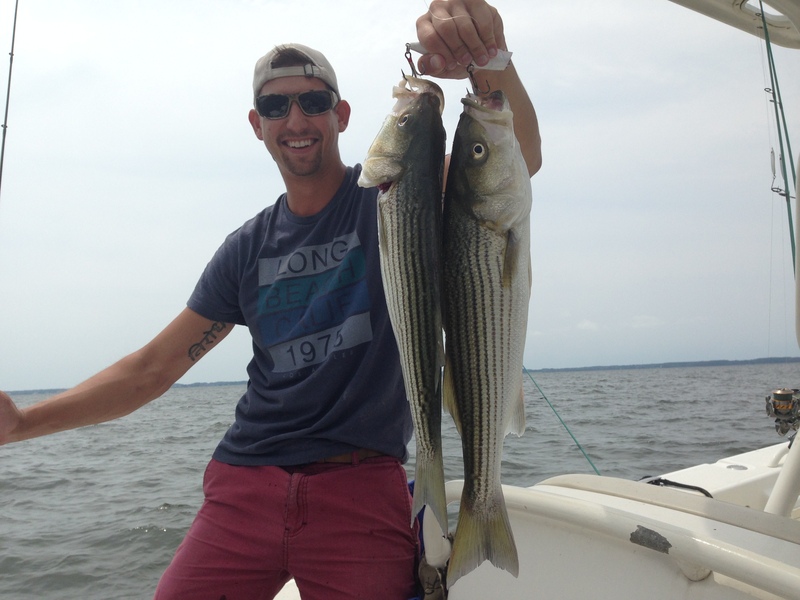 Breaking striped bass have showing up more regular lately. 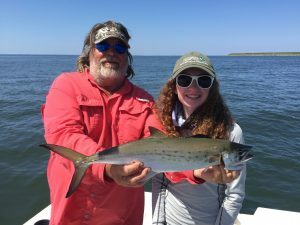 Bluefish have been sparatic. Topwaters, plastics and spoons are all catching stripers up to 26 inches in the breakers. 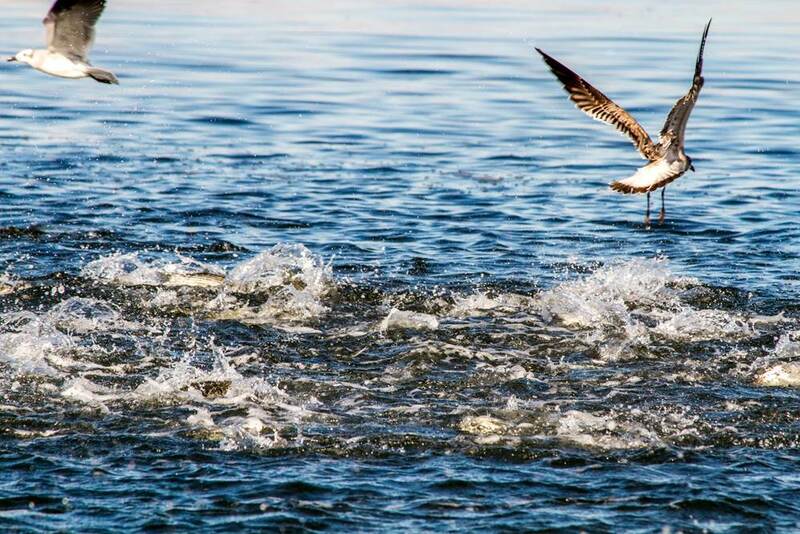 Fly fishing is every cast when the fish are on top. The shallow water bite has been awesome with stripers approaching 30 inches crushing plugs and fly rod poppers. 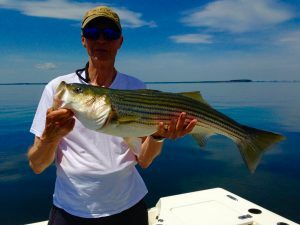 Shallow water topwater bite has been great even in bright sun. 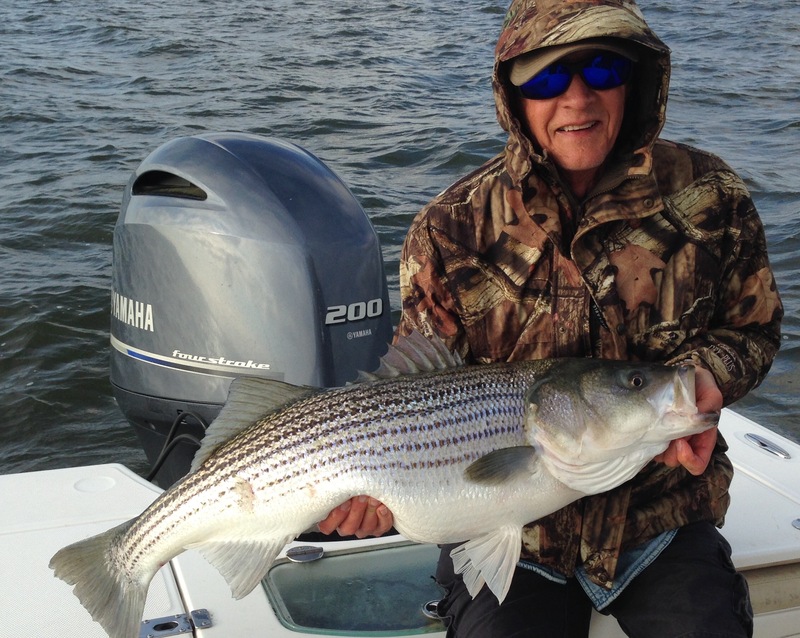 Stripers near 30 inches have been crushing poppers on spin or fly gear. Jigging and fly fishing with sinking lines have also produced nice rockfish. Starting to see a few breaking stripers too. 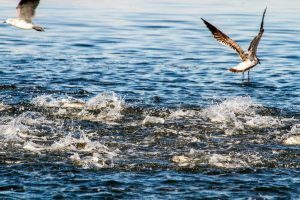 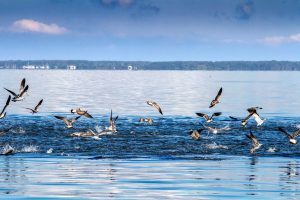 Fishing in shallow water with topwater plugs and fly rod poppers had been bringing explosive strikes from good size stripers. 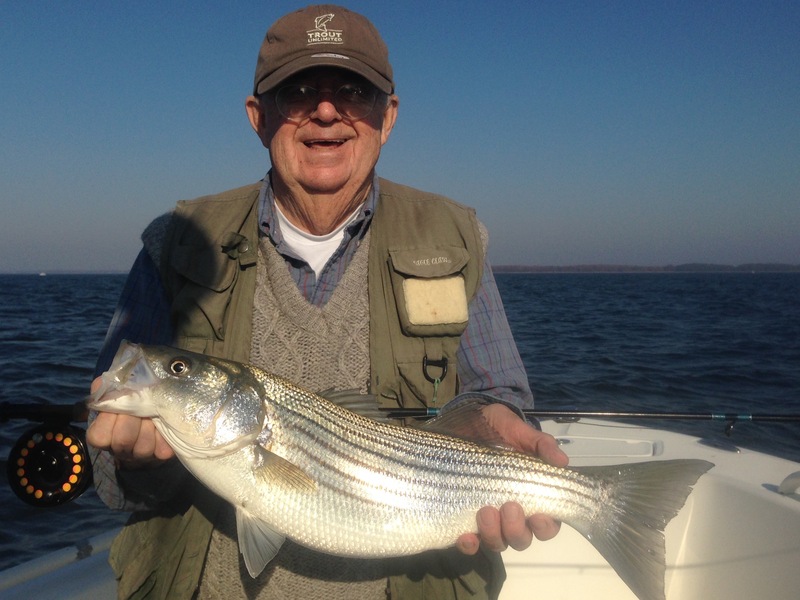 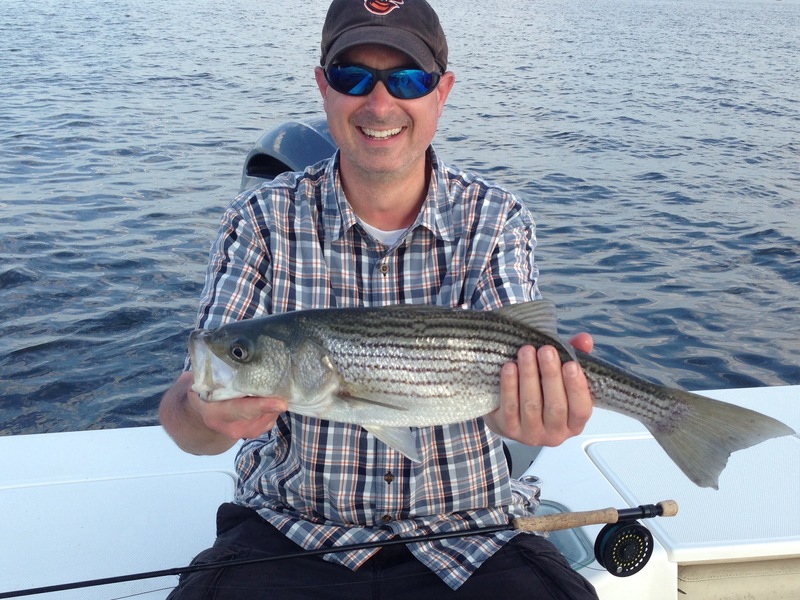 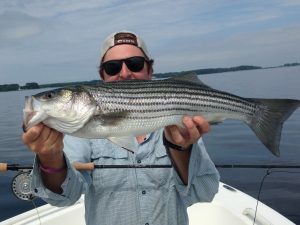 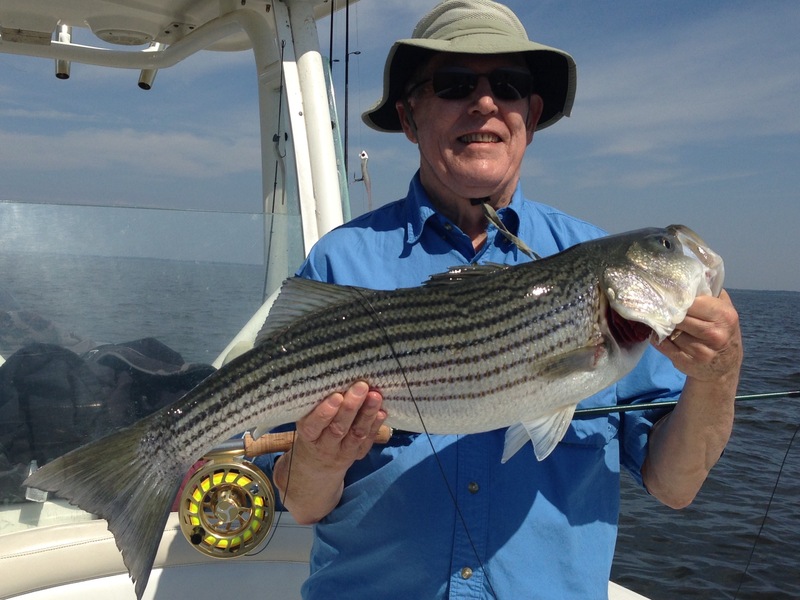 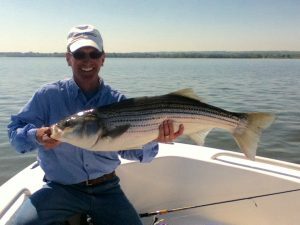 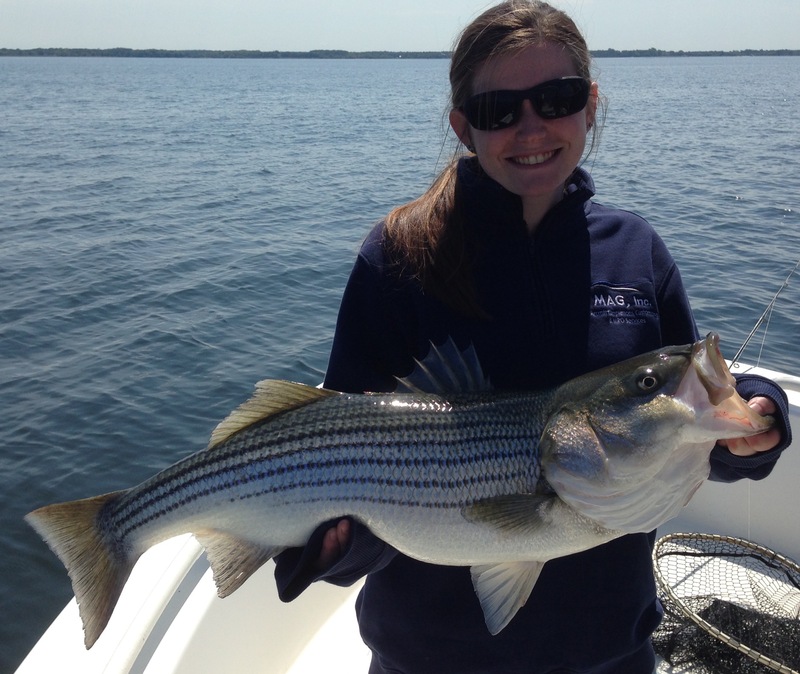 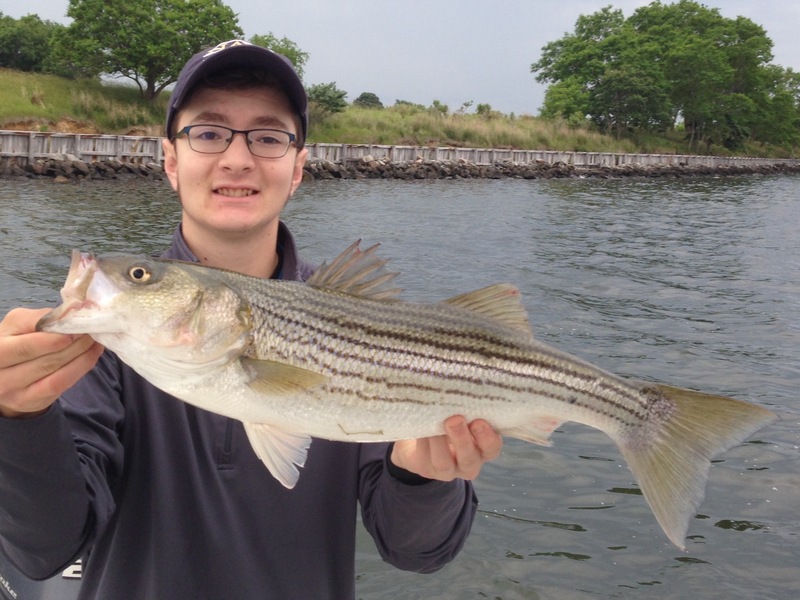 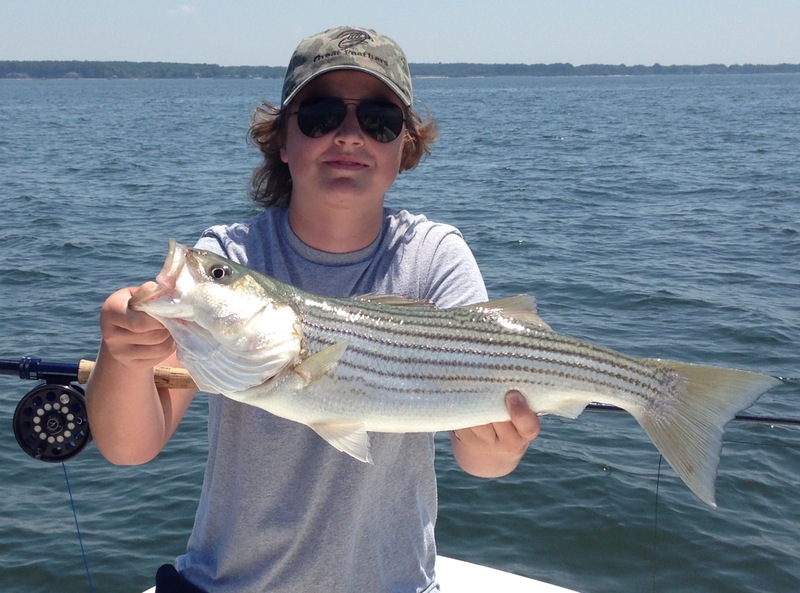 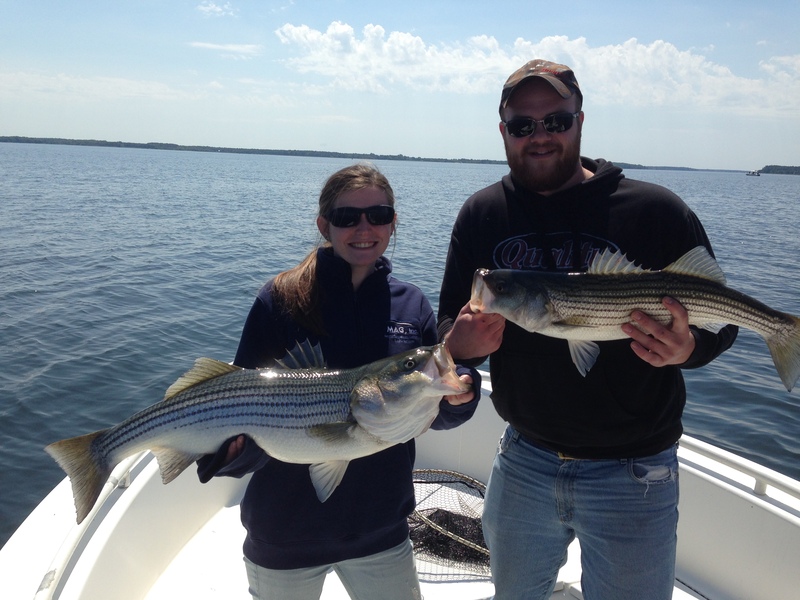 Jigging and fly fishing with sinking lines is also producing good striped bass. 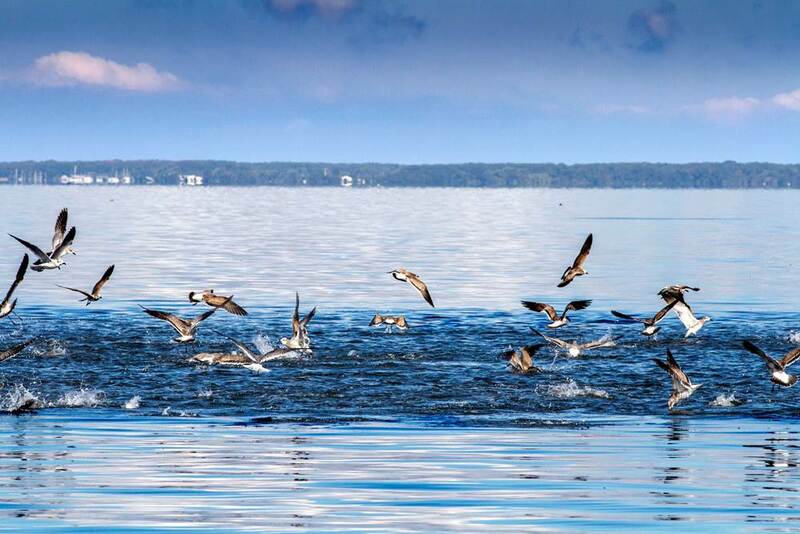 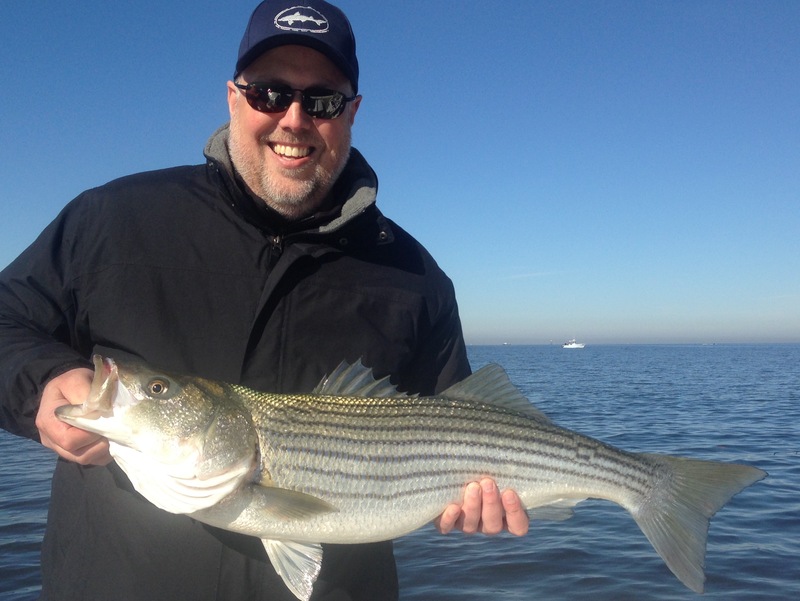 It won’t be long before stripers and blues are breaking on the surface. Fishing lately has been great. Stripers have been schooled up in large number. 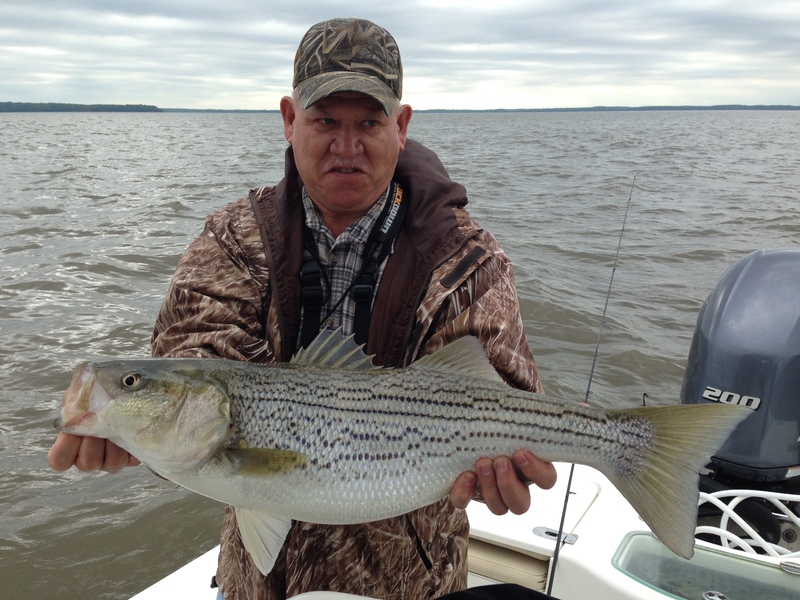 The rockfish have been all sizes with nice fish biting in flurries. 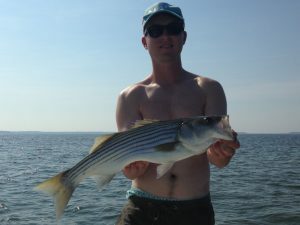 Fly fishing has been real good with even beginners catching lots of stripers in the mid twenty inch range. 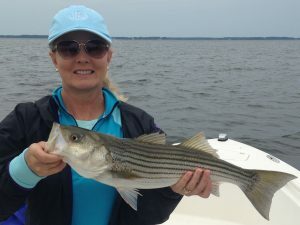 Jigging soft plastics has also been great. 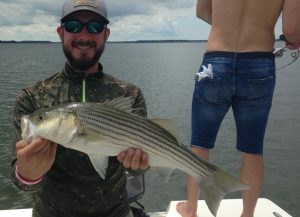 When conditions have been right the topwater bite has been good too. 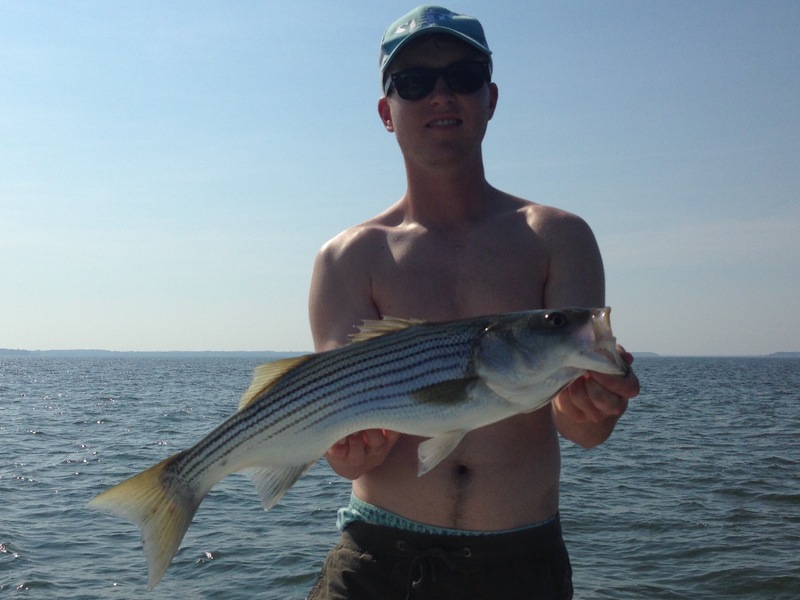 Fishing for stripers has been good this past week. 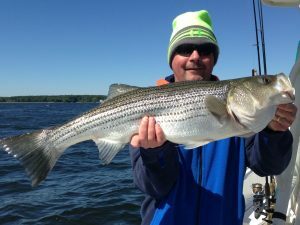 Fishing has been consistent with the larger fish biting in flurries. There has been some topwater action but jigging with soft plastics and fly fishing with sinking lines and half and halfs. The weather finally cooperated this week and so did the fish. 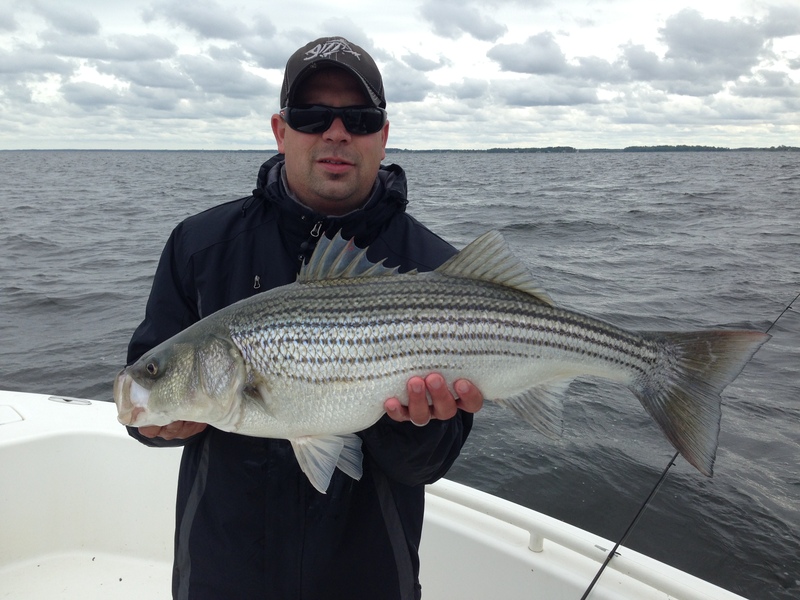 Stripers up to 32 inches were hitting jigs and swimbaits. There was also busting bait on top and hitting topwater plugs. Large half and halfs were catching fish too. 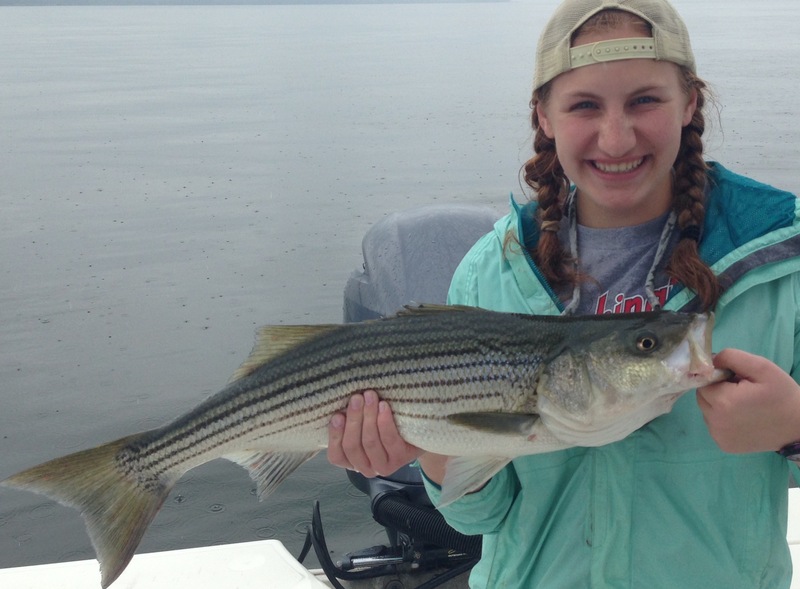 The Susquehanna Flats were off and on this year but we did manage to catch some nice stripers. 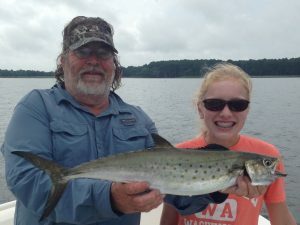 Starting to find fish in Eastern Bay now. 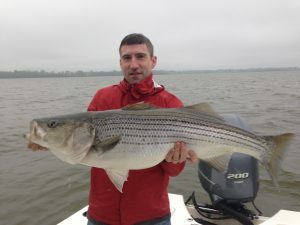 Fishing on the Susquehanna Flats was ok with a few big fish caught but the water is muddy now. Started fishing Eastern Bay today and caught stripers up to 11 pounds. 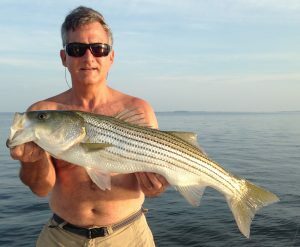 Fishing here should only get better. 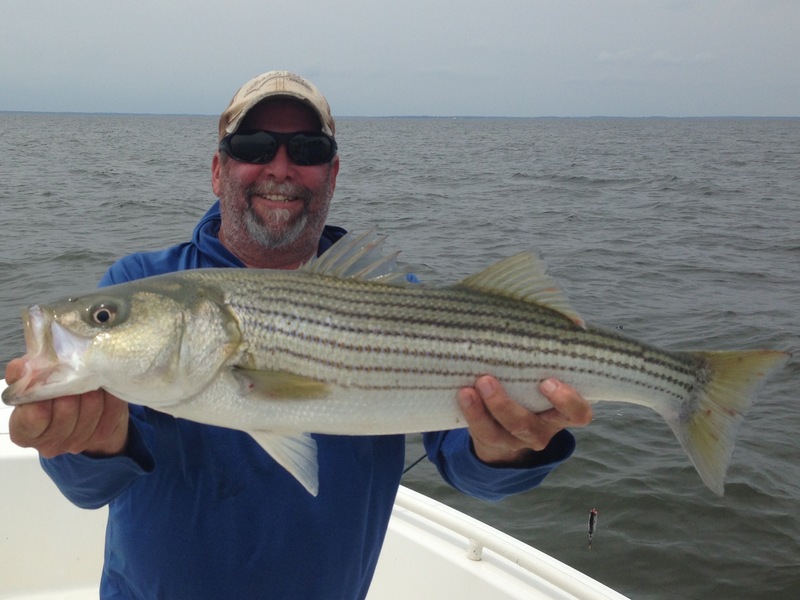 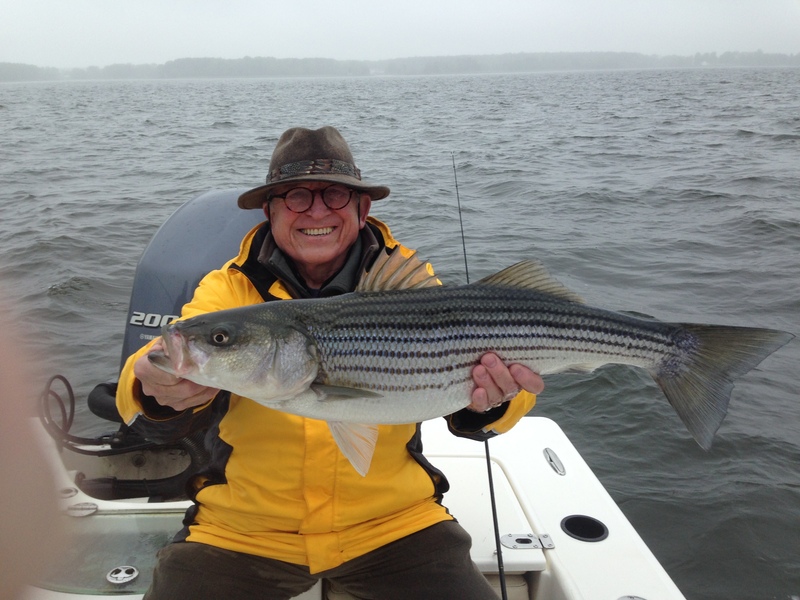 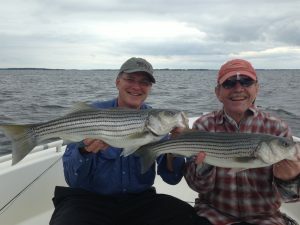 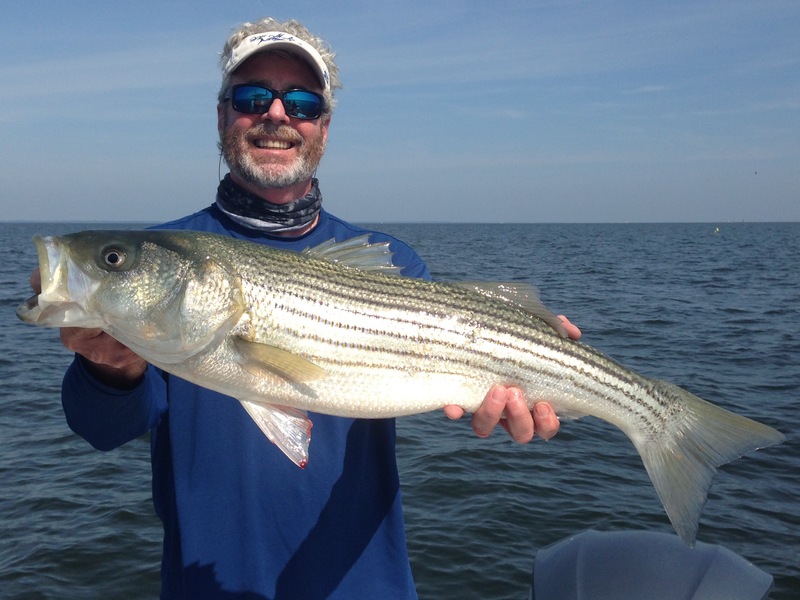 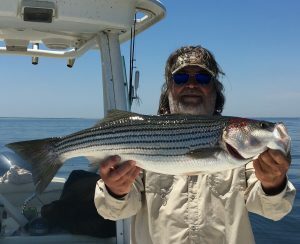 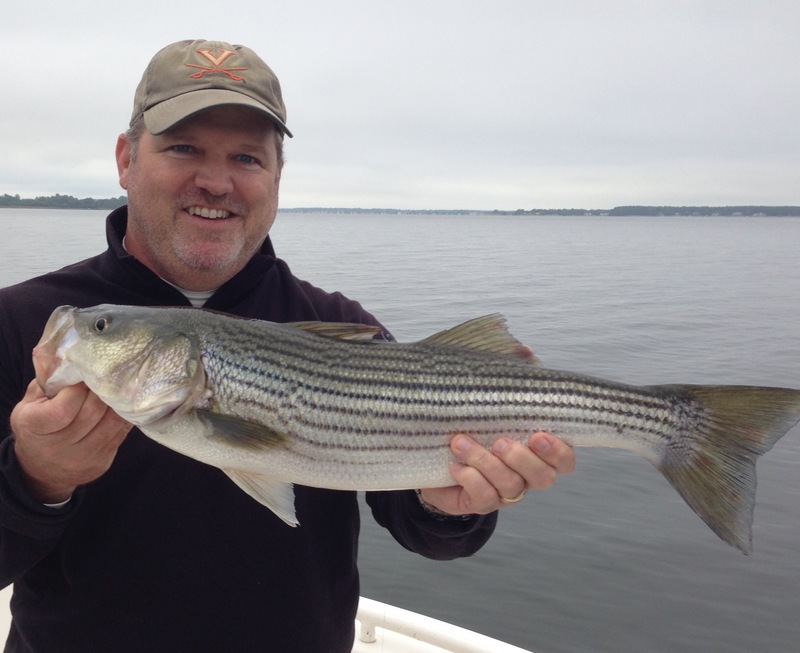 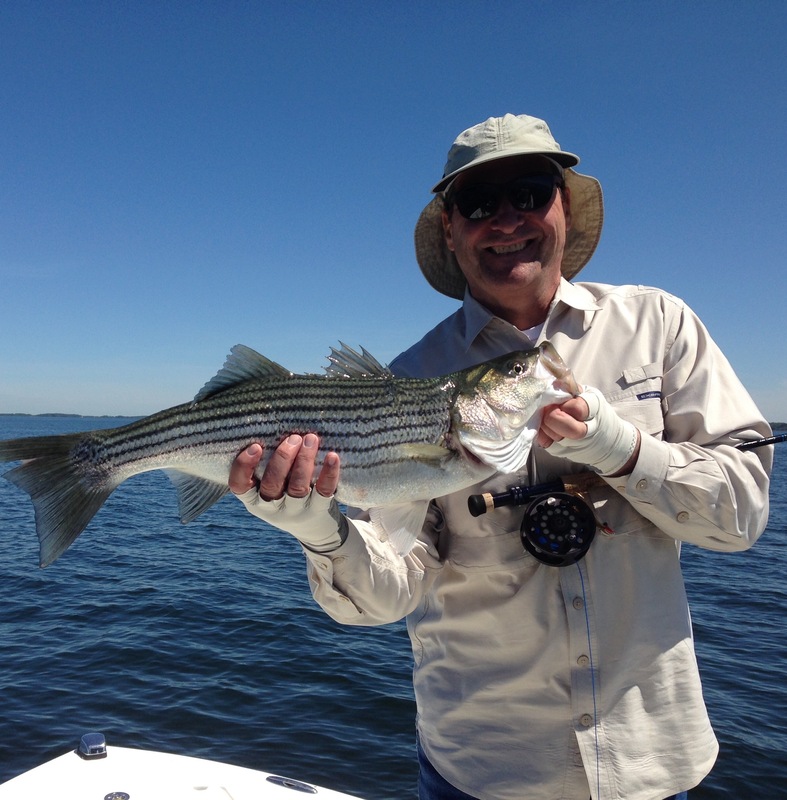 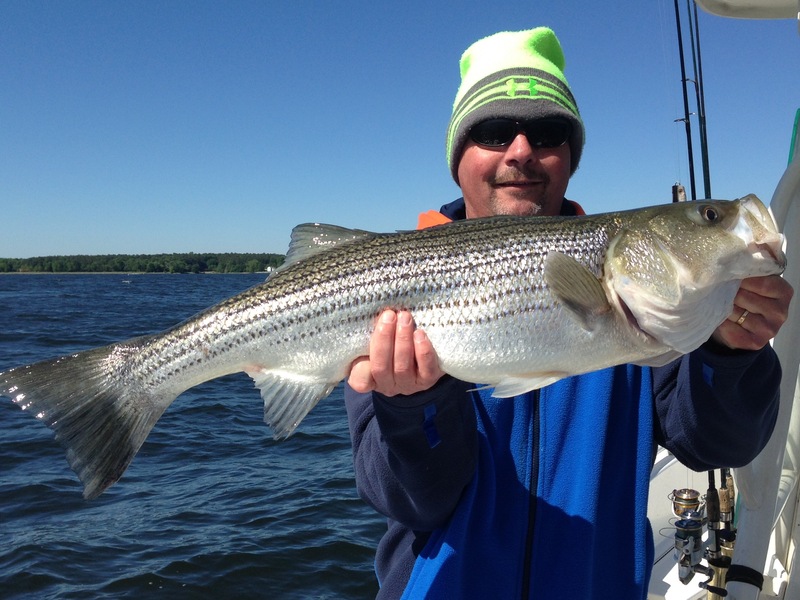 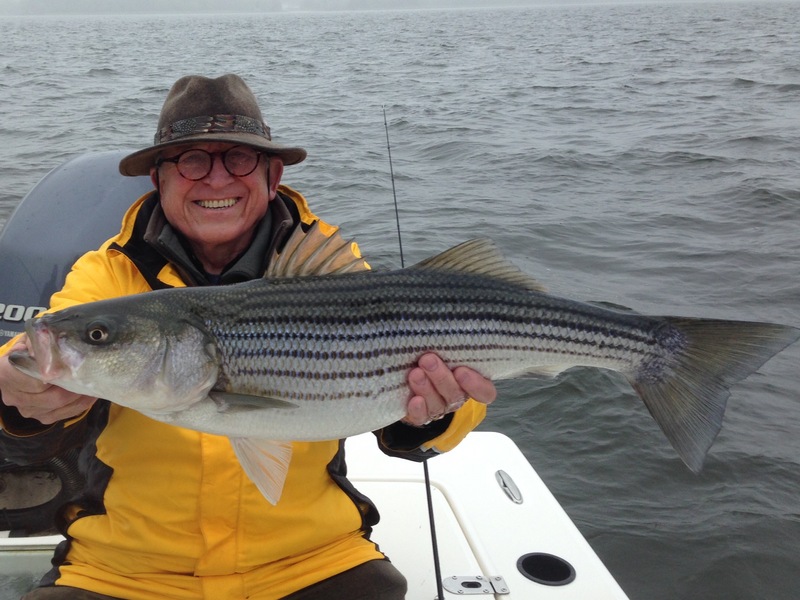 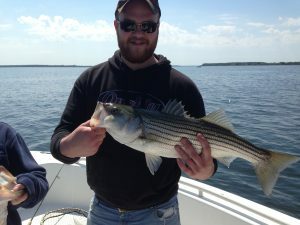 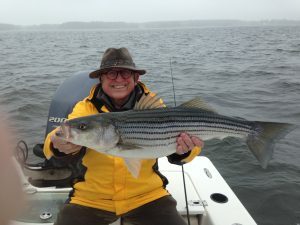 Although the fishing last week was an on and off bite, when it was on it was spectacular with some big stripers up to 36 inches showing up. 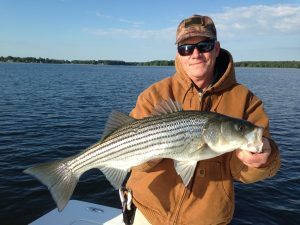 Casting and jigging soft plastics has been doing well. 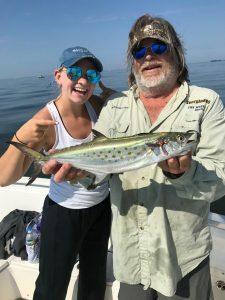 Fly fishing with big flies has done just as well.